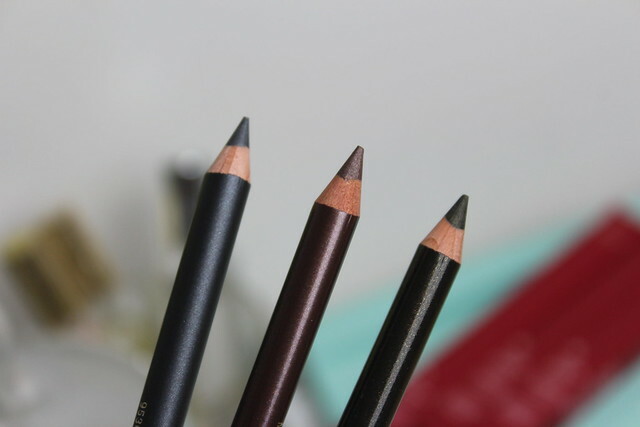 I fall on and off the eyeliner bandwagon with that certain fickle inconsistency – one moment I am a no-liner zone, next thing I’m smudging it up – sometimes I go the whole hog and have liner and shadow… sometimes I’m a strictly mascara-only sort of girl. 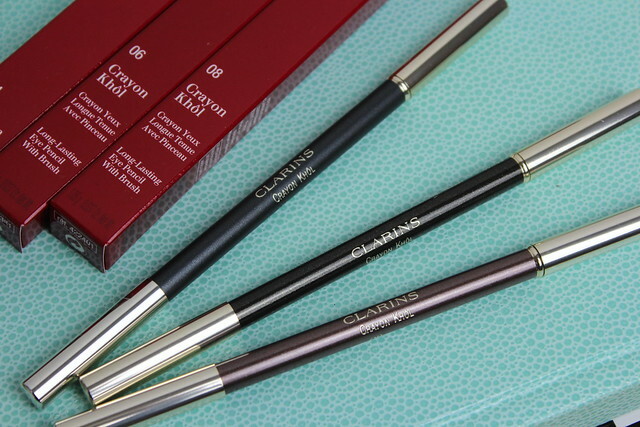 Luckily for me, my latest hop on the liner bandwagon has tied in nicely with the launch of the new Crayon Khol from Clarins – in a range of shades, I have my three favourites to show you here (and shock, none of them are the obvious black option). 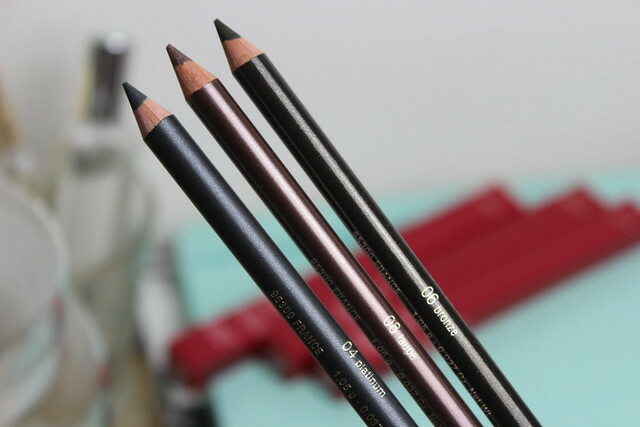 The shades I have fallen for are Bronze, Taupe and Platinum and I know from the swatches it’s not totally obvious as to which is which – the top shade is bronze. A dark shade with a golden shimmer to it – not one I’d obviously describe as bronze, but I like it regardless. 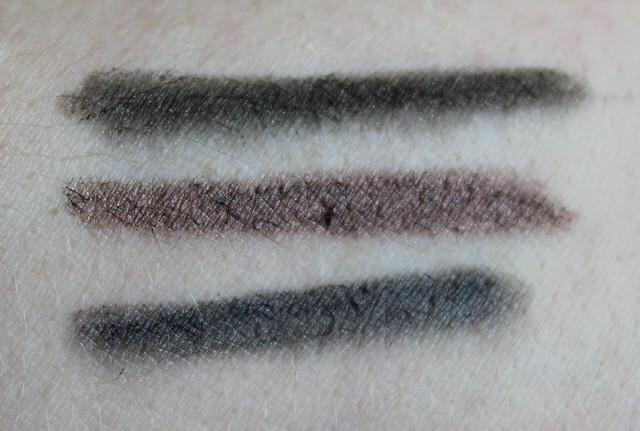 Then we have taupe, which to me probably does look more like it should be called bronze – but it does have that purply undertone to it that taupe shades need. Then finally there’s Platinum – the deep silvery/grey shade. 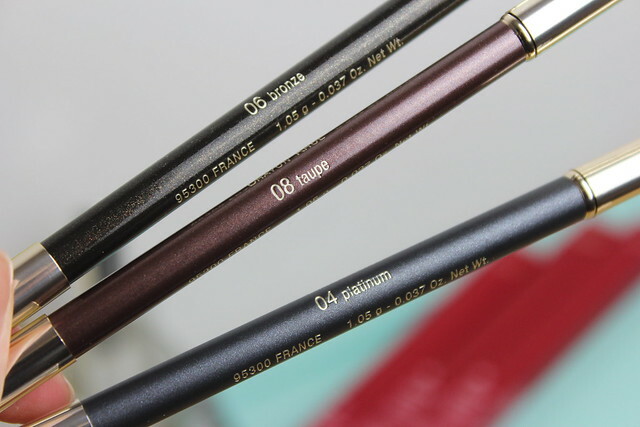 All of them apply in a really silky smooth way and are easy to smudge out with the little brush that can be found on the other end of the pencil. My favourite every day shade is definitely taupe – a gorgeous one that’s easy to wear and universally flattering. I love that it has than sheen to it rather than pure matte. 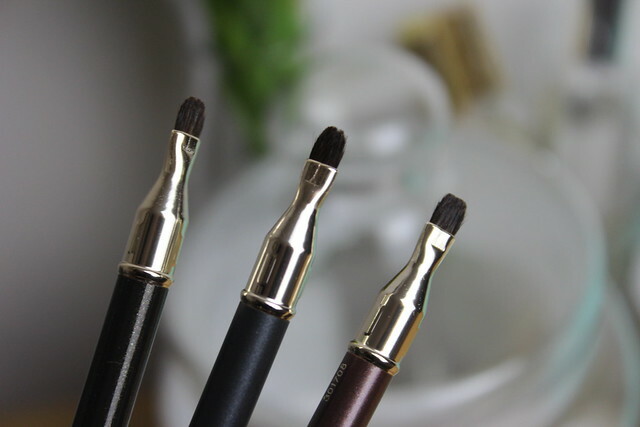 The bronze shade is best for the smokey eye look – it’s that *almost* black shade that just has that little pop of something different with the golden shimmer. Then platinum would look lovely on cooler skintones as a softer alternative to black. Love how luxe they look! I Taupe is such a nice col,or! Do these apply smoothly hun? 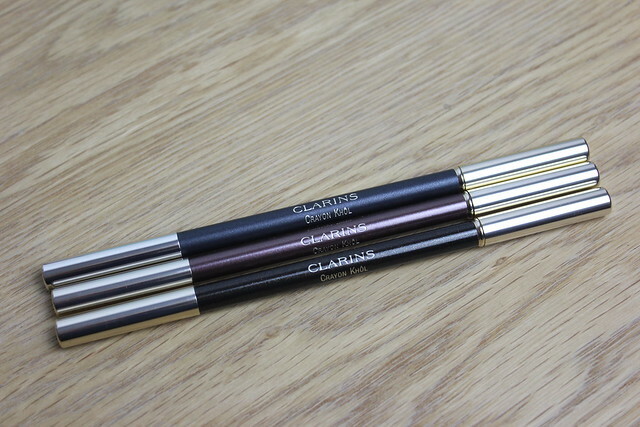 I am looking for eyeliners that don’t tug lately.